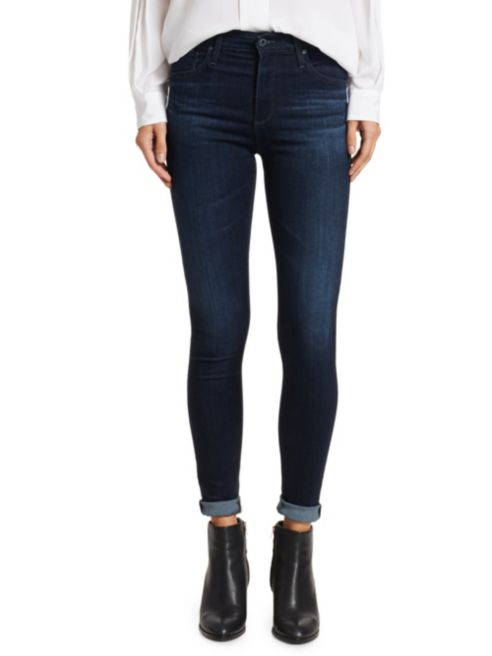 Nothing flatters our figures better than a great pair of high-waist skinny jeans! Since they’re easily one of the hardest working items in our wardrobe (they can be dressed up or down and worn in just about any setting), we are always on the hunt for the best, most comfortable pairs out there. No matter how many we own, there is always room for a new style to add to our growing denim collection. Currently, we’re crushing on the AG The Farrah High-Waist Skinny Jeans! The trousers have five pockets, a zip fly with a button closure and the slightly faded dark wash we love. 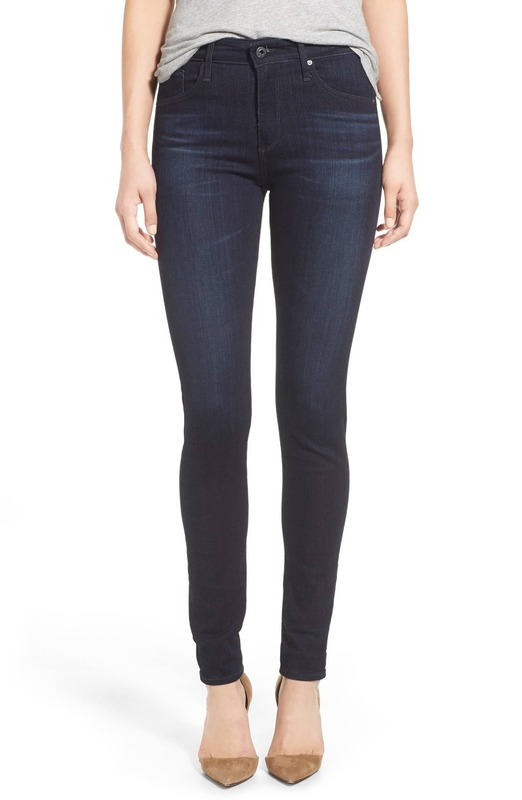 See it: Get the AG The Farrah High-Waist Skinny Jeans for $178 while all sizes are still in stock! Also available at Saks Fifth Avenue for $178 and at Bloomingdale’s in a slightly lighter was for $188. Though the fabric is designed to hug your body snugly, the material is still stretchy and comfortable thanks to a fabric blend that includes viscose and elastane. We love that they can be worn as-is, but also have enough stretch to be rolled up for a cute cropped look. We’ll certainly be pairing these skinnies with our over-the-knee boots just as often as our go-to ankle booties. The design will also be great with button-down tops and flat loafers for a casual dressy ensemble. We also can’t wait to step out with the pair peeking through our favorite trench coats. The high-rise style is available in sizes ranging from 00 to 14. Shoppers who bought and wore the look raved most about how soft the fabric feels. Several reviewers shared that they owned several pairs of the AG Farrah just because they fit and flatter the body so well. One noted that the jeans didn’t give her the gap at the waist that she has experienced with her other denim picks. Multiple shoppers also shared that they stretch over time but never become baggy.